A cats five senses are the same that we humans have: sight, hearing, smell, taste and touch. Unique feline sensory organs, all working in unison. However, there are some definite differences...your ears don't look like your cats ears. The cats senses contribute to its ability to hunt, and climb, and even to survive and are often superior to our human equivalents. Understanding how these senses operate enables you support and maintain your cat's optimal health. One of the cats five senses is vision and they also have excellent night vision, and extensive binocular and peripheral vision that enables them to accurately judge distances. Their eyes are large and prominent, placed well forward on the head, and like humans, face forward. The size and position of the eyes permit as much light as possible to enter them and ensure an extensive field of vision. These are important factors in hunting and nocturnal prowling. 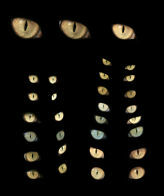 Cats cannot see in total darkness but can see better in dim light than many other animals In bright light, their pupils contract to narrow vertical slits. In the dark, these slits enlarge to round openings that admit a maximum amount of light. Another feature of the cat's eye is the nictitating membrane, a "third eyelid" in the inner corner of each eye that acts as a protective screen in case of damage to the surface. If the third eyelid is visible, it may indicate that the cat has an eye injury, is suffering from dehydration, infection or possibly stress. Pain will also cause the third eyelid to pop up. Your vet should investigate any changes in your cat's eye as soon as possible. 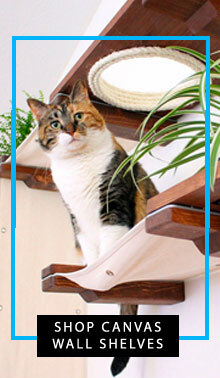 Your cat needs all the cats five senses operable. A recommendation is for owners to look out for signs such as: cloudy surface (injury or infection of the cornea); reddening (hemorrhage/blood in the eye or conjunctivitis); a half-closed eye (foreign body in the eye, irritant, flu, injury); changes to the pupil (lens cataract, injury, infection, diabetes or congenital defect); discharge (clear: blocked tear ducts, allergic conjunctivitis, sticky, yellow or green infectious conjunctivitis). Cats can also suffer from three serious diseases of the eye, all of which can progress to blindness. They are progressive retinal atrophy (PRA), which is a degenerative disease of the retina; cataracts (cloudy patches on the lens), and glaucoma (too much fluid pressure build up within the eye. Another of the cats five senses are the ears. Large and flaring at the base, a cat's ears taper to rounded or pointed tips, and stand erect in almost all breeds. 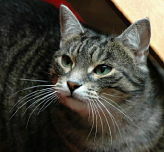 They are extremely sensitive, and cats can perceive a wide range of sounds including those with ultrasonic frequencies. They can detect many sounds that humans cannot hear. A cat will usually turn its head in the direction of a sound. Two of a cats five senses come into play and this aids in both hearing and vision. The cat's ear contains a complicated mechanism for maintaining body balance, as it does in humans. A cat's ear-flaps are easily torn, bitten or scratched in fights because they are so prominent. Deep wounds should be examined and treated by your vet to avoid the risk of infection. If you notice your cat holding down its ear and vigorously shaking its head, one of the cats five senses has kicked in...there may be a bacterial or yeast/fungal infection of the ear. This could also signal that there's a foreign object in the ear such as a tick or grass seed, or indicate the presence of parasites or ear mites. With ear mites, there will probably be extreme irritation and a discharge of brown wax. Reddening and swelling of the ear tips could be a fly strike, hematoma, vascular or immune mediated problem or neoplasia. For example, a raw and bleeding ear tip and constant scratching of the ear might be a squamous cell carcinoma...a common tumor that can affect the ear pinnae. Reddening and swelling of the ear tips could also be sunburn. This one of the cats five senses that displays the first sign of most ear problems with itchiness or pain which will cause the animal to shake its head, scratch or paw at it ears and possibly hold the ear down. It is important to realize that problems cannot be diagnosed on symptoms alone. Overlapping symptoms can occur, so an examination and diagnostic testing may be necessary to get a correct treatment. Other problems that could affect the ear include trauma, polyps, abscesses from wounds and scabies. Cushing's Disease can also cause hair loss on the ears, while allergies can cause ear problems and itchiness as well. Another of the cats five senses is smell. A while back it was thought a cat's sense of smell was secondary to other species, but in reality they have a highly developed sense of smell that enables them to scent prey (or their favorite food) at surprising distances. 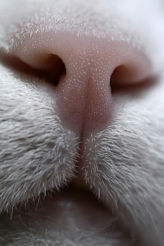 The tip of a cat's nose is leathery and may be black, reddish or pink. It is usually cool and moist to the touch. when cats sneeze it usually indicates a problem. The most common reason cats sneeze is due to upper respiratory infections. These can be from several different viruses or bacteria. Some of these can be prevented with vaccinations, but problems with chronic carrier cats, virus strain variation, and early infection of kittens keep the incidence of these diseases high. All the cats five senses need to be healthy. Although the cats five senses are to help protect the animal, they can develop life-threatening illnesses from many of these common viral and bacterial causes. Pneumonia can follow upper respiratory disease, especially if the cat is weak, poorly nourished, young or immune compromised. Feline Leukemia Virus (FeLV) and Feline Immunodeficiency Virus (FIV) weaken the immune response and may cause the cat to succumb to infectious disease that would only cause a mild illness in an otherwise healthy cat. The upper respiratory diseases most commonly encountered are feline viral rhinotrachetis (FVR), feline calicivirus (FCV), Chlamydia psittaci and Bordetella bronchiseptia. Feline viral rhinotracheitis or 'rhino', is a feline herpes virus that can cause eye lesions as well as affecting the nose, pharynx, and tonsils. It can cause severe damage to the structures inside the nose, especially with secondary bacterial involvement. Some will have such damage that they have constant problems with nasal discharge. Vaccinations prevent illness but cats still may be infected and become carriers. FCV is associated with sneezing, fever, nasal discharge, inflamed eyelids, and most commonly, ulcers on the tongue. Vaccination protects against most of the strain variations but not all. Chlamydia is reported to only be a factor in some 5-10% of feline upper respiratory disease. It can become quite a problem in cat colonies. Swollen eyelids, thick discharge, and squinting are typically seen with this bacterial organism. Sneezing and nasal discharge are common signs. Bordetella bronchiseptica is the most common cause of "kennel cough" in dogs, but it was realized to be a probable primary cause of some respiratory disease in cats. Cats do not have the cough characteristic of canine infections, but fever, sneezing, nasal discharge, and pneumonia may be seen. Factors such as stress, crowding, poor sanitation and weaning all contribute to the severity of signs. An intranasal vaccine is available. Treatment for feline upper respiratory infections varies. Sometimes the signs are mild, and the cat may recover reasonably fast. Often antibiotics are prescribed to help prevent secondary bacterial invasion. Other cats need hospitalization with antibiotic, fluid, and nutritional therapy. Cats with stuffy noses and/or fever may not feel like eating. Other reasons for sneezing can include fungal or parasitic infections that can vary depending on the pet's location. Dust, pollen or chemical irritants and allergies are potential causes, as are tooth infections, trauma, congenital defects and nasal polyps or tumors. Some cats get pieces of plants or other foreign objects lodged in their nose or pharyngeal area that can cause sudden sneezing and possible nasal discharge. Feline Asthma is a common disease in cats and hinders one of the cats five senses. Episodic wheezing, coughing, and increased effort in breathing are seen. It can be caused by an allergic reaction, bacterial infection, heart-worm disease and irritants. On occasion, it can be life threatening. Diagnostic test are important because there can be several causes and other similar diseases. Another of the cats five senses brings us to the fact that cats are finicky eaters unless they live wild and can't be too choosey. Their preference tends to be fish, then meat. New diets to a routine one are welcomed. 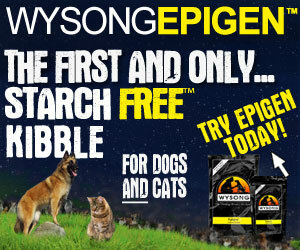 From the age of about 6 months to 12 months your cat needs 600-800 calories a day to maintain its growth energy levels. After that an average adult cat requires only about 450 calories a day. This is about one can of food a day. A decrease in appetite or chewing problems might signal dental problems. Lifting up the lips and looking at the teeth and gums might give a clue of dental tartar, gingivitis and mouth odor. Many cats have severe problems and never display signs of pain. Dental cleaning and prophylaxis is the key to a healthy mouth. Other oral problems can be broken teeth from trauma, an immune mediated problem called lymphocytic/plasmocytic stomatitis, oral cancer neurological problems that affect chewing, and musculoskeltal problems. Treatment depends on the problem and some of them have multiple causes and treatments. Most cat owners are unable to brush their cat's teeth, so yearly dental exams and cleanings are important. 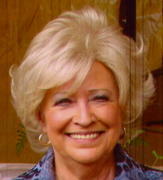 If you are able to do dental home care that's great but for those who can't there are dental diets that can help a bit. The standard of dental care in any species is dental teeth cleaning. Ask your vet to investigate any painful areas of the tooth, lumps in the mouth or ulcers on the lips, gums or tongue while he's doing the teeth. Remember that this one of the cats five senses ...the tongue... it is not only used for eating and drinking purposes because cats spend a lot of time grooming themselves. The tongue has a rough surface which, combined with saliva, helps to remove dirt and other substances from the fur. Self-grooming keeps the coat clean, massages the skin, removes loose hair, and stimulates hair growth. 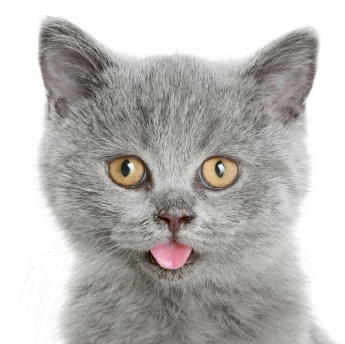 For those hard-to-reach places your cat will lick its front paws and use them like a washcloth. Last of the cats five senses is touch. The superior sense of touch that cats possess gives them agility and grace. Touch is the recognition of a pressure stimulus on the body's surface. Touch/pressure receptors are located on the surface of the skin. Whiskers are also part of the cat's touch sensory mechanism. Cats generally like to be touched behind the ears, under the chin, down the neck, along the back and at the base of the tail. Most cats do not like to be touched on their feet, tails and bellies. Some cats will bite or scratch people who pet them too much. The message is stop. In this situation, its best to accept that the cat does not enjoy excessive petting. Simply watch for signs of intolerance before the bite happens. A cats five senses are always working in unison. Restraining a cat is another touch situation that is met with a variety of responses. Cats that have calm personalities are more tolerant of being restrained while being held on an owner's lap or being controlled during a vet visit. A classic way to restrain a cat is to grab it by the scruff of the neck. If you hold the loose skin on the back of the neck, most cats become more passive. This method is how a mother cat holds her kittens when moving or controlling them. However, you have to give the cat's body proper support to prevent problems because if the cat feels unbalanced it will fight being held or carried. A good way to carry a cat is to support it from underneath and cradle it upright in your arms. The four types of mechanoreceptors are: hair follicle receptors and Pacinian corpuscles; slowly adapting mechanoreceptors; tactile vibrissae; and nonmyelinated mechanoreceptors. The interaction between the anatomy and physiology of these recetpors are complicated, but they function in transmitting signals to the brain that are interpreted as touch or pressure. The Pacinian corpuscle is an interesting structure found in skin, muscles, tendons, intestinal mesentery and joints. Its built like a microscopic onion, multilayered, and has dimpling of different layers through pressure or vibration which in turn sends signals to the brain. Although a cat's whiskers have acute sensitivity, a cat's face is only one-third as sensitive to radiant heat as a human's face, but the nose is able to detect small changes in temperature. The sides of a cat's body are also less sensitive than a human's. This may explain why cats can sleep under the hoods of cats, on the hot parts of a radiator and in direct sunlight without apparent discomfort. This also explains why cats rarely flinch when they get injections. Of the cats five senses, touch is such an important sense that it is functional when a kitten is born. Kittens utilize touch cues to keep warm by huddling with the mother and littermates and to receive nutrition through nursing. When a kitten nurses and kneads the mother's mammary region, milk flow is stimulated. Kittens are able to react to skin pain at 4 days of age. As humans, we touch with our hands, while cats touch with their paws. The touch receptors in their foot pads detect the differences in surface textures and so it's important to train kittens to scratch on a particular surface so you can hopefully prevent damage to items like sofas. Cats display touch in other manners, such as rubbing their faces along your legs and kneading your lap with their paws. Each cat has its unique style with regard to how it touches people and objects in its environment. Individual cats respond to touch in varying ways. Most cats prefer to be gently stroked rather than petted and most cats prefer to be held with firm support but not tightness and some cats are better with minimal restraint. Stroking the lower back area, (the lumbosacral area) is not tolerated by some cats. Treatment for hyperesthesia focuses on providing the most stable physical and emotional environment for the cat. Behavior medications may be needed. Drugs include corticosteroids, progesterone hormones and even the anticonvulsant phenobarbital. If other contributing conditions are diagnosed, specific treatments are used. Treatment generally is not curative but instead manages the clinical signs. For obese cats with fleas, treatment includes flea control, bathing and combing to remove the dead hair and allow the skin to breathe. A weight control program would also be beneficial. Discover where your cat likes to be stroked and where he does not. Do not be disappointed if your cat does not enjoy being touched for an extended period. Chalk it up as another one of the quirky, independent behaviors of cats. Respect your cat's preferences and he will enjoy your interaction and your "together time" will be a pleasurable experience. So, this has basically covered the cats five senses.